I had a trip to my Zander banker swim yesterday at the Grand Union yesterday evening, I've never blanked here, it seems to be full of them. With my mate Simon womanising in Croatia I was on my tod. My usual set-up for Zander a lure rod and a headless Roach on the sleeper rod. I've been spending the pennies again and I've bought myself a savage gear landing net as not only is it easy to carry as it folds in half and the handle retracts into the net, the mesh is rubber so makes hook removal easier. Within minutes I lost a fish on the lure and then nothing for an hour. The quiet spell changed when the bobbin rose and the bite alarm started to sound, a fish was on. It looked a good'un too and despite thrashing about it was landed. Yeap, as suspected hooked firmly in the scissors. Hook removal couldn't be any easier. These Mustad Bass hooks really do work well, I'm a convert that's for sure. It was a PB too at 3lb 2oz. Still a small Zander in the scheme of things but considering I've only had a handful of sessions to try for them I'm doing ok. During those sessions the lure worked best during the morning sessions and the deadbait in the evening. In my experience they seem to feed in waves and sure enough as soon as the deadbait settled on the deck a fish took the bait again. Don't mess around allowing the the bite to develop just strike on the first indication. I wasn't sure a 6ft rod would work that well but it's fantastic, easily manageable on the towpath and as it's one piece it's so easy to carry if fishing a stretch of canal. It was like a winters day, cold and damp. Can we have some decent weather please. The recent rain did seem to have topped up the levels though as it's the highest I've seen it in recent times. I banked another 4 Zander so I glad I made the effort to go. With the light fading and the first passer who was three sheets to the wind I left sharpish. I seem to be less tolerant fishing the evenings now, not sure why as I've never had a problem and I've fished well in to dark before. Canals are different to rivers though I suppose as the towpaths are walkways they are frequently used by the great unwashed . This coming season maybe I need to fish opposite the haunting silhouette and ghostly history of Guys Cliffe House, do that, you can do anything. 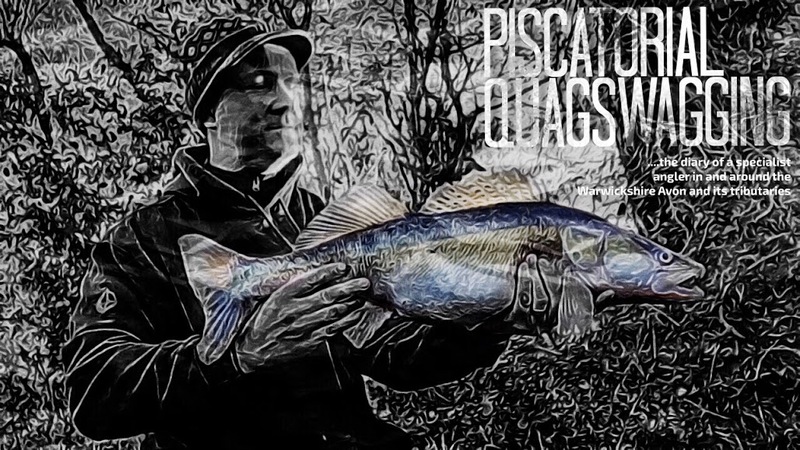 Talking of Zander, there was a British Lure Angling Championship qualifier on the Grand Union in the Midlands the 11th of May, it was the LAS canal stretch so not a mile away from where I was fishing. 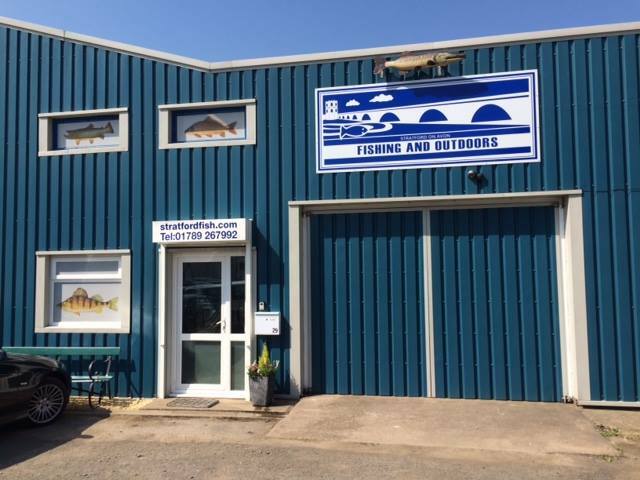 33 anglers fished it and no angler caught more than 3 fish and lots of blanks. Maybe I should have entered for a bit of fun, then again you can see how localised they must be. I think I've definitely found a hot spot. Oh and had a quick session at Snitterfield Reservoir Monday just gone, had a 14lb mirror on the sleeper rod, lost a decent crucian and caught a few others. Strange isn't it, I could go back to Warwick ressi and catch a load of fish on caster, see the float go under and feel a bend in my rod, and yet this mornings session was on the Stratford-Upon-Avon canal at Bishopston Lane which was mentioned in Dominic Garnett's excellent practical canal fishing guide. 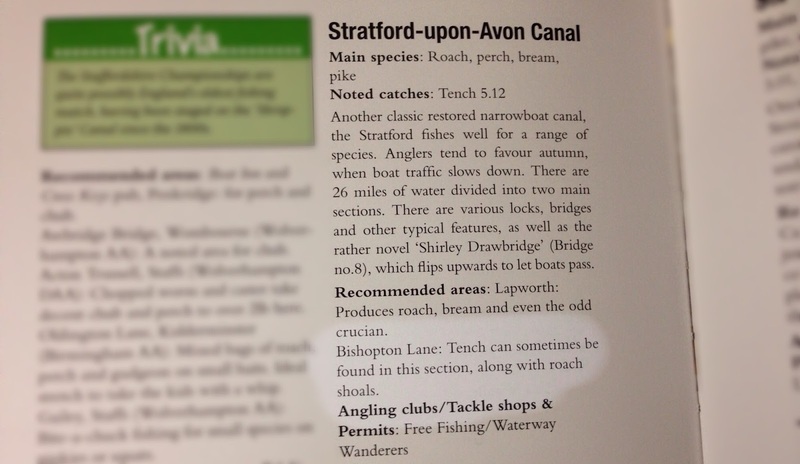 I've fished the Stratford Canal once at Bearley a couple of miles away and caught sweet FA, not a bite or even a sucked maggot. The Stratford-Upon-Avon canal is only 25 miles or so long with 54 locks, when it leaves the Birmingham suburbs the canal passes through the small Warwickshire villages of Lapworth, Rowington, Lowsonford Preston Baggot, Wootton Wawen and Wilmcote before ending up amongst hordes of visitors in Stratford Basin, alongside the River Avon and the Shakespeare Memorial Theatre. Lapworth is an interesting canal junction where a short spur connects to the Grand Union Canal which runs parallel close by. It's an area I'm also planning to fish as the infamous Zander is in residence. Tench we know are early risers so as I'm only 3 minutes down the road I was on the cut at 6.00am, the plan was hopefully catch a Tina or two, and maybe even a nice Roach. Bait was worm or double caster on the hook with said bait chopped as feed. An 8ft rod with my Crucian rig was ideal, a small in-line pole float, a size 14 hook and a centrepin reeI overshot the float and fished a few inches over-depth. To hedge my bets apart from pre-baiting with hemp and corn with my youngest Sam the evening before I brought a sleeper rod, my Zander deadbait set-up complete with a headless dead roach mounted on a Mustad ultimate bass hook. Are they present here like they are in the Grand Union ?, hopefully I'd find out. For the first 2 hours not even a single bite or even any fish moving but as soon as the joggers and dog walkers arrived I was having a few indications. I had thought about packing up and moving somewhere else but after about the 15th 'done any good yet mate' the float went under and I hooked in to a fish, seemed half decent too but as I was sorting my landing net it bumped the hook, damn. Not a sniff on the Zander rod even after changing baits after every hour. It took another good half hour or so for the float to lift an inch out the water and I was in to a fish again, it did feel like a Tench the way it was darting about and sure enough, a small'un about a 1lb and a half. Not a blank but certainly hard work. Another biteless hour and with the boats becoming more frequent and the joggers uglier I called it a day. A new stretch of water.. I'm not renewing the Arrow stretch for this coming season so to accompany the new Warwick book I've also managed to get on to Charlecote Park. Lots of new water to try and all within a stones throw too. I cannot wait. So Baz when we meeting up then ? With the weather on the turn for this coming week I decided to have a few hours at Snitterfield Ressi to try and catch one of the old Crucians that have the tendency to pop up from time to time. My usual tactics a sleeper rod with a small korum method feeder and a SBS corn boilie as bait and a float rod with centrepin and pineapple flavoured corn on the hook. Talking of the club a familiar face turned up, it was Keith Jobling. Keith came over for a chat and apologised for the noise he was about to make as he had his petrol strimmer in the boot of his car to spruce up the steep banks. He admitted he hadn’t been fishing much but managed to cobble together some tackle and planned to have ½ and hours fishing on the top for the carp, a tactic Keith is well au fait with at this venue and having given me some productive tips in the past if a carp is to be caught off the top, my money’s on Keith. After returning to the opposite side of the reservoir he began his some weed- whacking. Maybe the vibrations spurred the fish on to feed because a tell tale Crucian bite on the float led to me playing a decent fish, the water was gin clear and it was obvious it was one of the old school. With light tackle I didn’t want to rush it but as I was playing it my sleeper rod spurred in to life and the bait runner was singing, great. Buses and all that, I couldn’t do much but let the fish run. 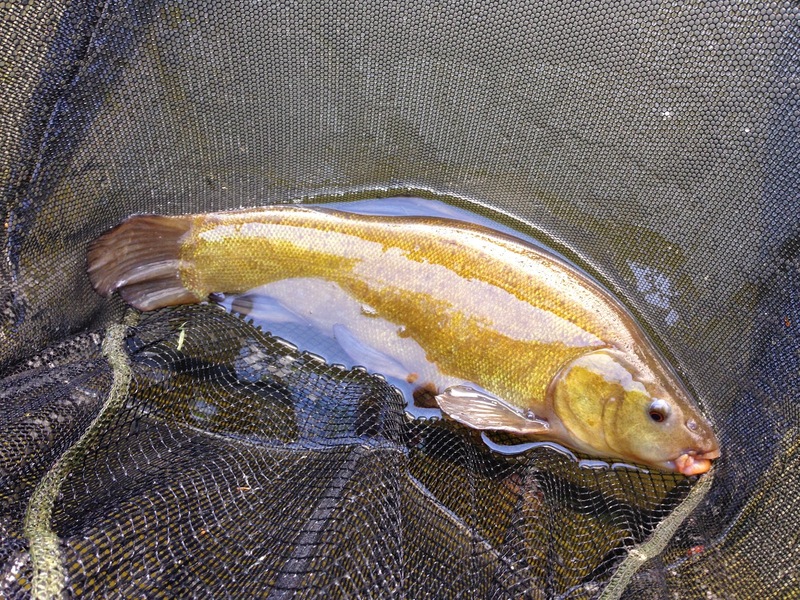 I landed the Crucian and soon after and in the same net another small Tench. Not the biggest Crucian I’ve caught here. Despite its length it was lean and only went 1lb 6oz’s on the scales. A proper old one though, a lovely looking fish. Fish don’t grow huge at this venue, probably because it’s stupidly deep and they are not as active as fish in shallower venues. The humidity brought out the midges and there were fish were topping everywhere, the water was alive, a great sight to see. Soon after Keith had stopped his unsung pastime and began surface fishing for the carp. Didn’t take long for him to hook in to one either. A few minutes later he shouted over, “Mick, Mick, quick, I’ve hooked a grass carp” I’ve not even seen a grass carp in the flesh so quickly picking up my camera and went to join Keith to provide some assistance if required. 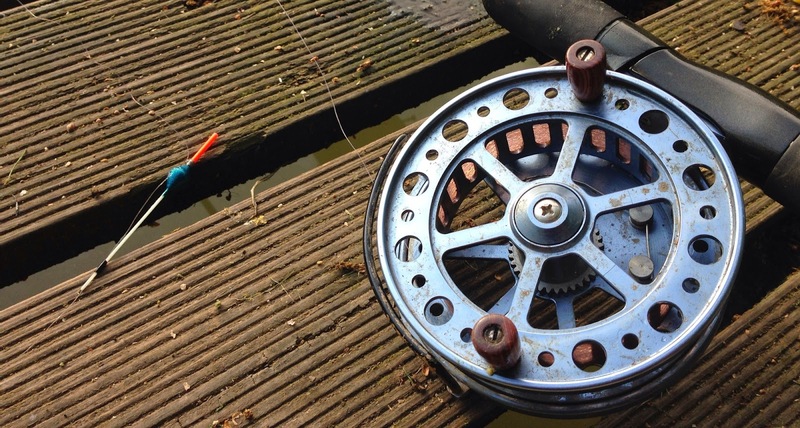 The cobbled together tackle seemed to be doing its job and the Zebco’s reels drag was standing up to the hard fight of the carp. A decent fight later the Grass Carp was ‘just’ about in the modest landing net. A few punches in the air for jubilation to make Lee Evans proud Keith went to get his unhooking mat and scales whilst I rested the fish in the margin. They don’t look like any other carp, more like a stupidly big Chub. This one looked a good’un, 20lb or so I’d say. A picture taken with my Samsung NX1000 with the 'crater’ as a backdrop would be a great advert for the club and a keepsake for Mr Jobling. Snitterfield is home to 5 grass carp and I had the privilege to see one on the bank. With the unhooking mat in place at the top of the bank, Keith said “right, let have it then” with the fish barely contained I lifted the net out of the water. The fish had rested for a good while and got its energy back because as soon as it felt the humid air it made a bid for freedom and began to thrash about in the net. The following seconds were a bit of a blur because, one minute it’s the net the next it’s in the water and trying to take the rod with it, a bit of a panic ensued and it quickly dawned on me there was a gaping hole in the net, the powerful fish had managed to wriggle out whilst the line was still being pulled from out of the nets breach. With the grass carps renewed energy the results were inevitable, arrrrrrrrrrhhhhhhhhh !!!!. Gutted for Keith even though I think he may have caught it before, there was no point going over what could have been done because that just rubs salt in to the wounds. That’s fishing for you and I’m glad I was there to share the story because imagine if I wasn’t, nobody would have believed him. Sniterfield Reservoir, what a great venue. Warwick Ressi was the venue for a short mornings session. Without any plans as such I took a small quantity of groundbait and 1/2 a pint of casters. Simple tactics a pole float, my 8ft TFG compact allrounder rod and centrepin. I was just happy to see what came along. I'm no match fisherman and to be honest I don't like the haul them in tactics of many, but there is a certain satisfaction of seeing a pole float go under. 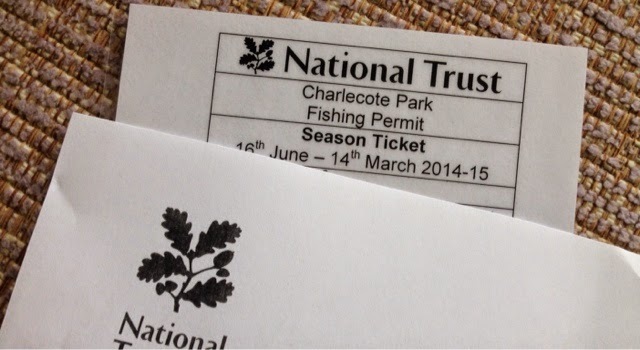 What came along was loads of fish, Silver Bream, Perch, Tench, Rudd, Crucian Carp and Roach. Nothing of great size really apart from a wonky carp that the bailiff said turns up from time to time. Despite his obvious disfigurement he seems to be managing ok. I probably had 30lbs of fish or so, an enjoyable morning especially when I was bathed in sun. The river season cannot come soon enough, lakes are just not me. Talking of rivers I'm now in possession of a Warwick book so this coming season I've plenty more flowing water to go at. I bumped in to Anthony Simmons from LAA at Snitterfield reservoir this morning, he was partaking in a little R&D project which will likely feature in the newsletter so I won't spoil it for him, but I was glad I was of some assistance. It involved Crucians and there are already plenty in here. Thing is you can go days without catching a single one but when they are on the feed they are mad for it. Today they were mad for it. My best at this venue is 1lb 12oz's but I've lost bigger one that was well over that. I used two rods, a sensitive float set-up with Lone Angler paste on the hook and the other a sleeper rod with a korum grub feeder filled with red maggot and alternating between fake corn and maggot. 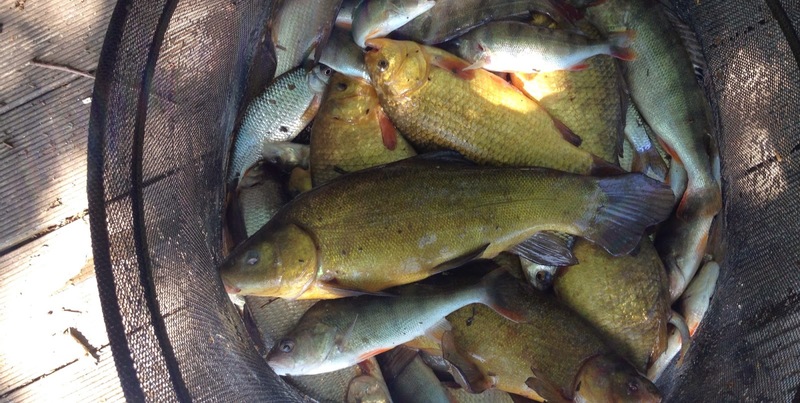 Snitterfield has a great variety of fish and today's catch consisted of Perch, Roach, Rudd, Tench, Skimmers and luckily for me mainly Crucians. When they are feeding mood though you can catch quite a few within a small space of time and they seem to feed in waves. Avoid using lots of feed especially pellets because the large head of greedy bream soon home in on the bait, as soon as you catch one you will likely catch plenty, great if you're a match fisherman wanting to bag-up but not so great if you're specifically targeting the lovely little crocks of gold. The old warriors are still here but it's a big expanse of water so it's needle in the haystack stuff. A couple a three years ago some more were introduced and by the condition of the ones I caught today they are certainly doing well. Fish close in as the marginal shelf drops away. I've found the summer evening a great time to target the bigger ones so as I'm only 5 minutes away I'll be back to try for them again. Both the float and mini bolt-rig set-up worked equally as well and I managed 15 or so, the biggest was just over a pound ,not a bad return for a short mornings session. Despite having plenty of runs from fishing small deadbaits for Zander I never managed to land one. Jeff Hatt of Idlers Quest who has experimented with many hook patterns on his quest for Zeds on the cut recommended I try the hook that made a big difference to his hook ups. So the new rig I tested yesterday evening was a Mustard Ultimate Bass hook tied to a 50lb Korda arma-kord leader on a running rig set-up. Bait was the tried and tested small headless Roach. I found using a longer rod can be cumbersome and sometime hazardous when fishing the canal so I bought a second hand 6ft Wychwood Extricator (£20) which seems to be just the ticket. Simon tagged along again and he commandeered the lure rod. He hooked a Zed on his first or second cast but it managed to lose the hook when it got near the net. It would have been his first too. It's a canal swim like no other, largely hidden from view, unaffected by towpath dawdlers and boats. It's a 'pound', a stretch of level water impounded by two locks. In order to accommodate traders with heavy cargos of coal, sugar, tea and spices up the flight, the locks at this stretch of the Grand Union were widened to 14 feet allowing navigation by industrial boats or two single narrowboats. For the canal angler it's a backwater haven. I decided to try and catch something other than a predator, a roach would be nice, even a bream or two. Not having fished the canal that many times,liquidised bread as feed with maggot on the hook. To hedge my bets and to use some lobworms I had left over I also had a sleeper rod out. Before setting up I fed the swim with a couple of handfuls of bread and a few maggots. Plumbing the depth I found it far shallower than I thought it would be, 3 and half foot or so. 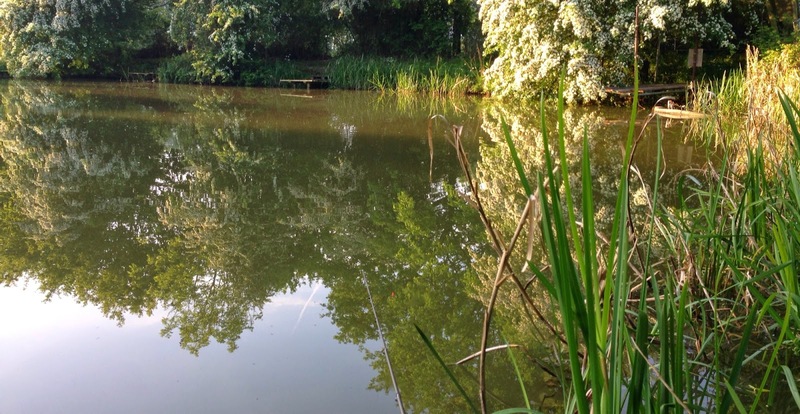 A pole would have been ideal here,a far sensitive set-up with far better bait positioning and feeding accuracy. I fished a 13ft float rod with a Drennan Glow Tip Antenna and a 2lb hook length with a size 18 hook. I always thought about investing in a pole but it wouldn't get used, especially when the flowing water is back on the agenda. Within 10 minutes or so I had a few pulls on the sleeper rod but it didn't amount to anything, the float remained motionless, in-fact for nearly 4 hours, I couldn't even muster up a bite. Bugg*er. Maybe I need to be shown how it's done. A change of tactics was in order and with the lure rod already set-up (11cm) I switched from the Roach to it's nightmare, the Zander. With an hour of fishing left before I had to leave to go to Warwick Races I packed up got back in the spam chariot and returned to my Zander banker swim. The overlow area of the swim produced some decent Perch recently too so I also set-up the sleeper rod to maximise my blank avoidance. I'm glad I made the change because in an hour I managed 3 Zander the biggest 1lb 15oz, 3 half decent Perch (2 on the lure one and the worm) and also a 3lb Carp that looked it had escaped from Tunnel Barn. By the way this sessions moonlighting was a load of electrical cable. Have I the canal bug ?, the cult of the cut, quite possibly.